This is from a form and space class where we were charged with the creation of a point of service display. This display is not unlike one you would see in a store where you can buy the product. The idea (this is a rough mind you) is that there would be a cold and hot scene. 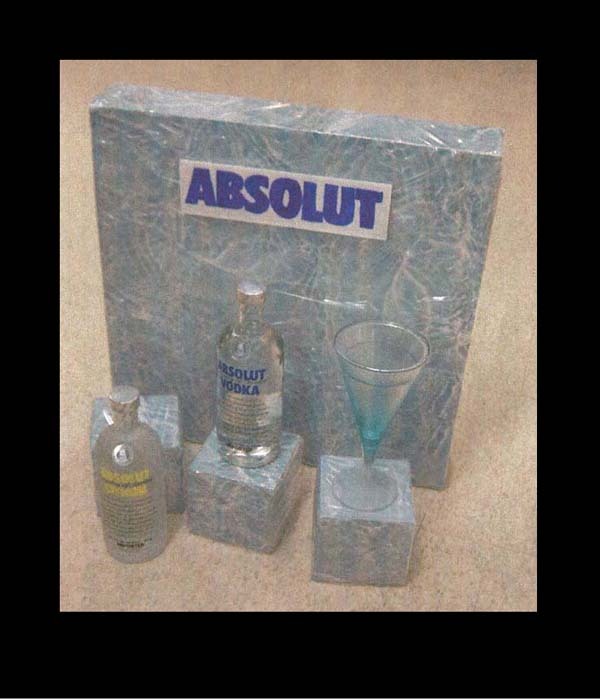 The Absolut blue would be pictured in blocks of ice surrounded by cold, ice and blues. This would demonstrate and evoke feelings of the rush of a cold shot of vodka to warm you. The Absolut Lemon would be in a summer display right next to the ice, with sand, beach-balls, frothy cocktail glasses filled with colorful iced drinks. “Vodka for all Seasons” or “Choose your Season” would be hung across the top of the entire display.